Upper Deck gave collectors a peak at the new big Jordan sneaker cards, but in reading the message boards a lot of collectors had the same question. ARE THESE GAME USED? Well according to collectors on the boards, they claimed UD wouldn’t answer that question. They did come forward and answered that later on Twitter. The show “A Piece of the Game” is back, and now you may be able to be part of an upcoming show. 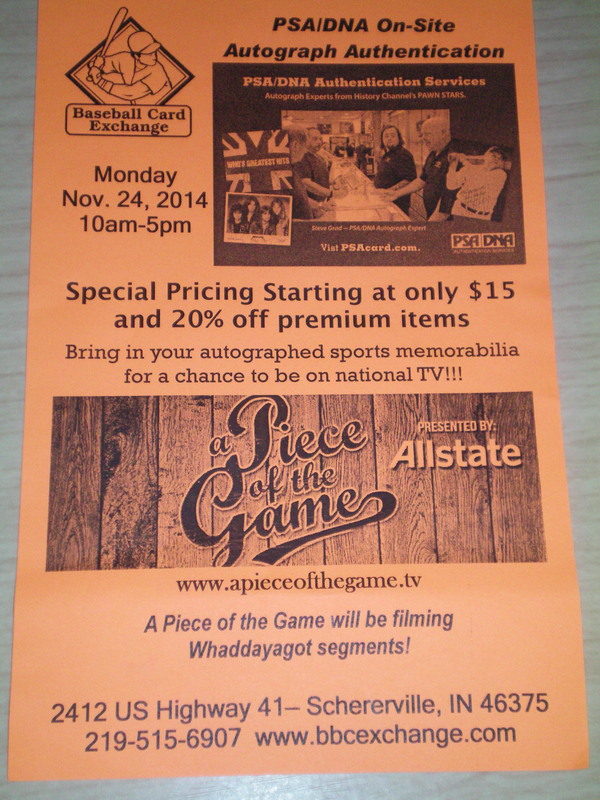 APOTG will be at Baseball Card Exchange in Schererville,IN on November 24th, from 10-5 filming segments of #Whaddayagot. Looking how you can watch the show, Click Here.